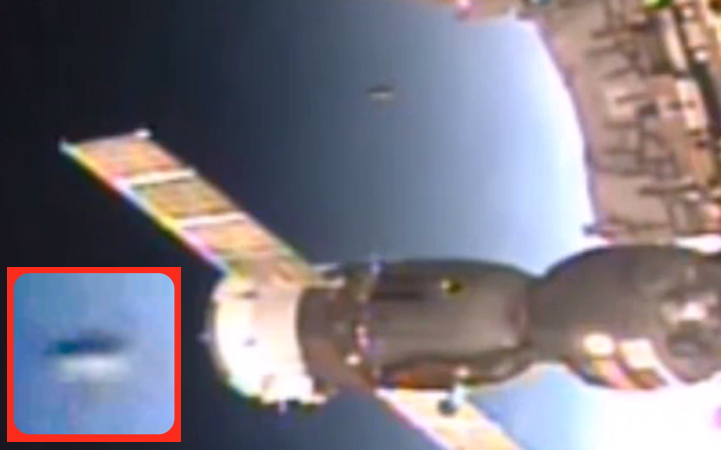 UFO SIGHTINGS DAILY: UFO Comes Very Close To Space Station On Aug 2015, Video, UFO Sighting News. 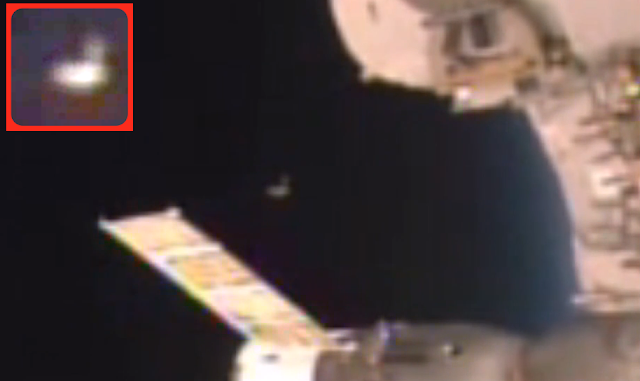 UFO Comes Very Close To Space Station On Aug 2015, Video, UFO Sighting News. The confusing thing about this is the arm that is coming out of the UFO. Buzz Aldrin said he saw a similar L shaped UFO while in space. Although a rocket was launched yesterday from Japan and headed to the space station, this is not it. Also its seems to take in the arm, it just disappears after a ten seconds. Awesome catch by Streetcap1 of Youtube. I have not a clue what this is. If it's a Satellite, then surely it's way off course and ISS Radar hasn't seen it yet. An object this close to the station would surely prompt a collision alert. I will try and link this, although links have a habit of disappearing or moving I've noticed. Thanks to all my subscribers for their loyal support.